Nice move in ready Cancun model 3br and 2Â½ba townhouse with the master on the ground floor. This is a nicely preserved one owner home. Enjoy the gorgeous lake view from the spacious enclosed lanai or slide open the glass doors for the fresh air we are so accustomed to here in SW Florida. There is a paver driveway that can accommodate 4 or 6 cars with additional guest parking nearby. Inside you will find 20â tile in the main living area with carpet in the master bedroom and upstairs. The spacious kitchen has a pantry, raised panel cabinets, an open ceiling with a window making it light and bright.. Easy to clean and non-slip epoxy floor has been added to the garage along with the motorized screen protector on the door. This home is being sold turnkey. Breckenridge offers bundled golf, 5 swimming pools, a very active tennis club, bocce and new pickle ball courts. This is a very friendly and socially active community. 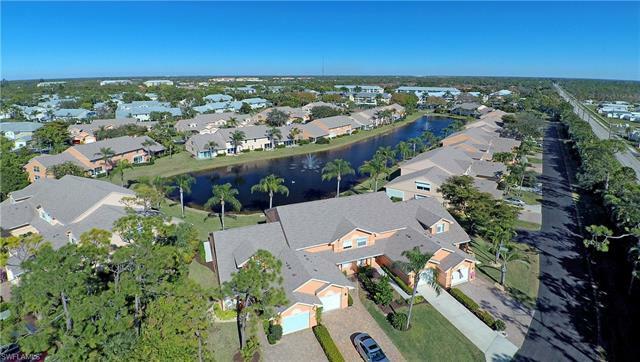 Estero is in the heart of Southwest Florida with quick access to Naples and Ft Myers. Breckenridge is about 15 minutes from the airport, close to 3 huge malls, more restaurants than you can visit in a season, a library, a community park and a unique state park.